A competitions open to all Australasia. A prize of £50 to be offered. 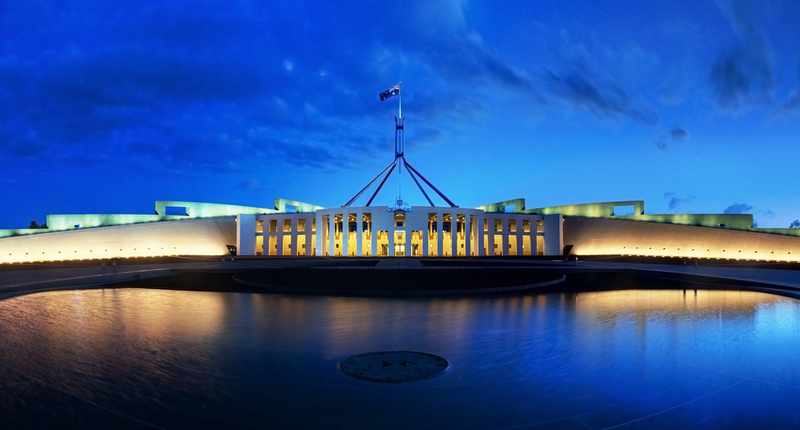 The coming Australian Commonwealth will need a Flag, and many efforts are already being, made to evolve a graceful characteristic, and effective national symbol a flag that shall at once express kinship with the Empire and yet be characteristic of the new and great political entity which has come into existence. A Melbourne journal, the “Evening Herald” offered a prize of £25 for the best design for a Federal Flag, and we reproduce on our Cover the Flag which won that prize. 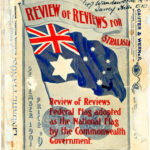 The proprietors of the Australasian “Review of Reviews” offer a prize of £50 for the best design for a Federal Flag; the competition to be open to the whole of Australasia. 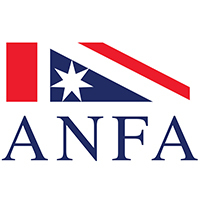 The Premiers of the six federating colonies will of course constitute a jury of unrivalled impressiveness and authority, and the Flag they choose will have an excellent chance of fluttering high for generations to come as the symbol of the’ Australian Commonwealth. Each competitor must forward two coloured sketches of his design – one for merchant service and one for naval or official use not less that 6 inches by 3 inches in size. 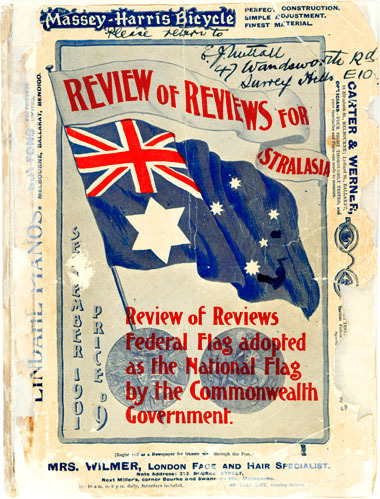 All designs must be endorsed on the cover “Commonwealth Flag” and addressed to the Business Manager of the “Review of Reviews” 167-169 Queen Street, Melbourne. The award of the judges, or of a majority of them, will be final and no appeal against it will be permitted. The prize of £50 will not be awarded to any to any design which in the opinion of the judges, or of a majority them, is not superior to the successful design of the Melbourne competition reproduced on our cover. But a consolation prize of £10 will, in that event, be paid to the designer of the Flag judged to be the best amongst those sent in.